LAUGHTER, LIBATIONS & INAPPROPRIATE BEHAVIOR! 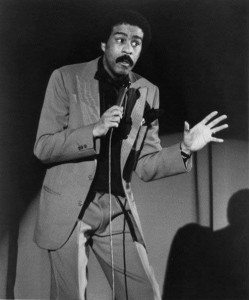 An evening honoring Richard Pryor's dedication to animals, benefiting PRYOR'S PLANET & ARME! and other great comics and celebs TBA! This is your HALL PASS! Be as nasty as you wanna be and feel good about it the next day! Join some of the biggest comics of our time for a night you won't forget (or will you?!)! NO MORE WORRYING ABOUT LAST MINUTE HOLIDAY GIFT SHOPPING! IT'S ALL HERE AND ALL FOR A GREAT CAUSE! More importantly, lots of booze, great food, amazing company and A-list comics all night long! BENEFIT FOR PRYOR'S PLANET & ARME Rescues!